Heavier snowfall and thicker layers of ice covered O Quy Ho Mountain Pass and Hoang Lien Mountain Range in Sa Pa District in the northwestern province of Lao Cai on December 31, with temperatures continuing to plunge even further in the entire northern region. Areas at 2,500m above sea level were covered with icy sheets of upto 1.5-2cm. Y Ty Commune in Bat Xat District was also reeling under freezing conditions. 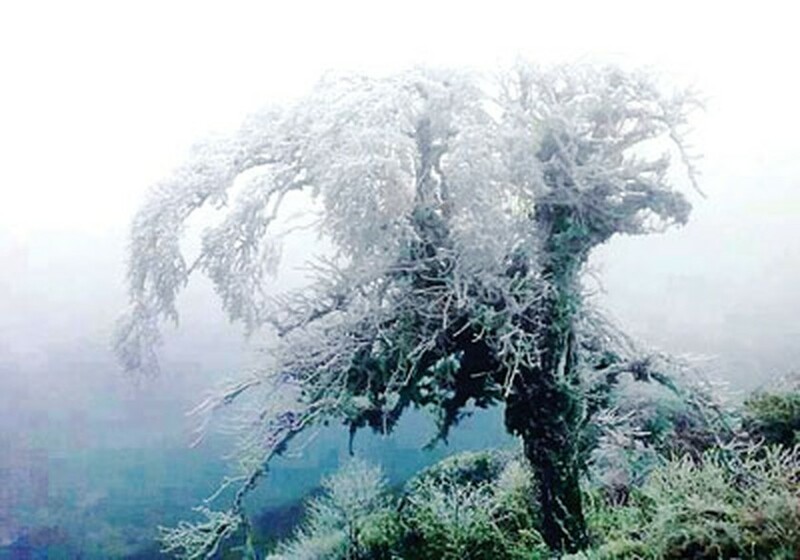 According to the National Hydro Meteorological Forecasting Center, temperatures dropped to 5.3 degrees celsius in Mu Cang Chai District of Yen Bai Province and 3.3 degrees in Sin Ho District of Lai Chau Province on December 31. Pha Din Mountain Pass in Son La Province saw mercury fall to one degree and Mau Son Mountain Top saw a drop to 0.1 degree. Temperatures in Sa Pa Province fell to subzero level and in Hoang Lien Mountain Range they averaged only minus 2 degrees. In the southern and central highland regions, after a slight fall due to the cold front, temperatures will gradually rise in the next few days to reach 31-33 degrees celsius by mid week. 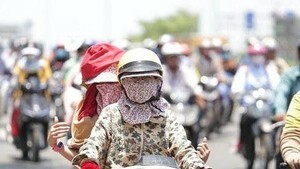 A scorching heatwave with the highest temperature of 39- 40 degrees Celsius is expected to hit the North- West, Northern and Central mountainous regions in consecutive days, announced the National Hydrology Meteorology Forecast Center.